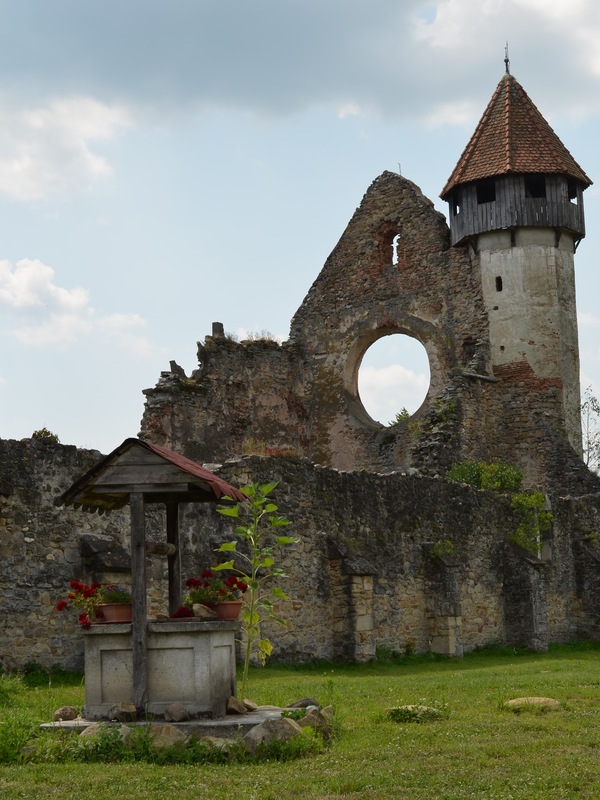 The title of this post is very specific as we must be the only people in Romania that thought had seen Dracula, but didn’t. After a long day on mountain passes we spent the night at a campground in a small town called Carta. I mention this because Carta was our first intro course into the everyday life of the locals. Or everyday evening actually. 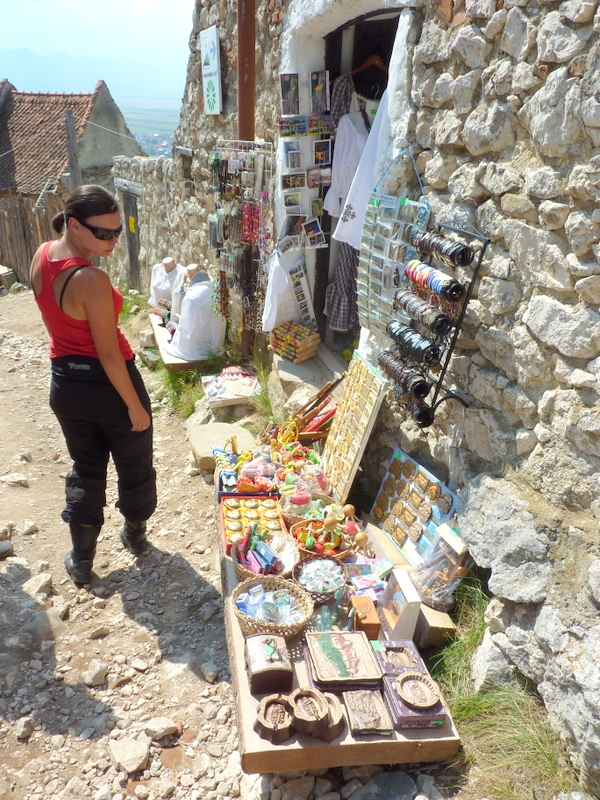 We sat outside the only store in town drinking Romanian beer with local villagers keeping in mind that last call was 10pm for this small grocery store so naturally an alarm was set on my phone to alert us of immediate bottle exchange 5 minutes before close time. 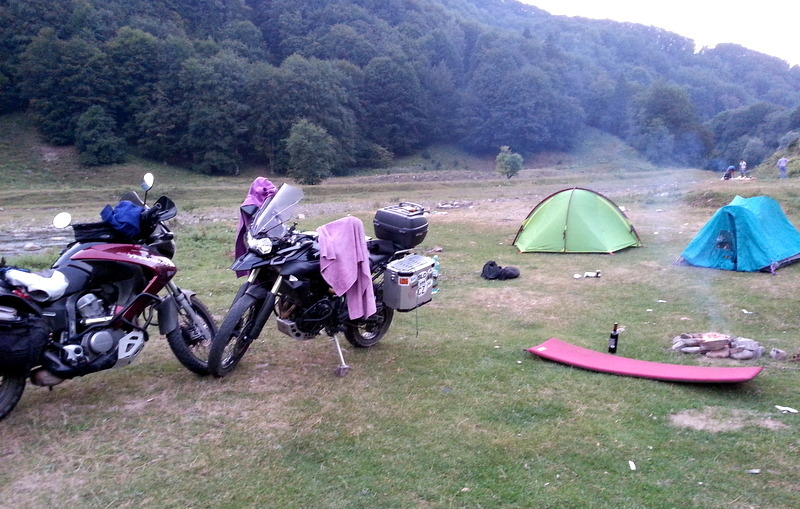 There was a Hungarian motorcyclist sitting and drinking with us, he rode a Suzuki DR800, a single cylinder monster of an enduro bike, and while communication was limited due to us not speaking Hungarian nor him Polish, we had a good time trying to explaining each others plans of our trips. I didn’t know this at the time, but the town has an old Lutheran church we should have visited. Quite honestly though, from our side of the town…it didn’t really look like much was happening there at all. Only now looking at Google Maps I realize we were actually close to a river and big dam nearby. 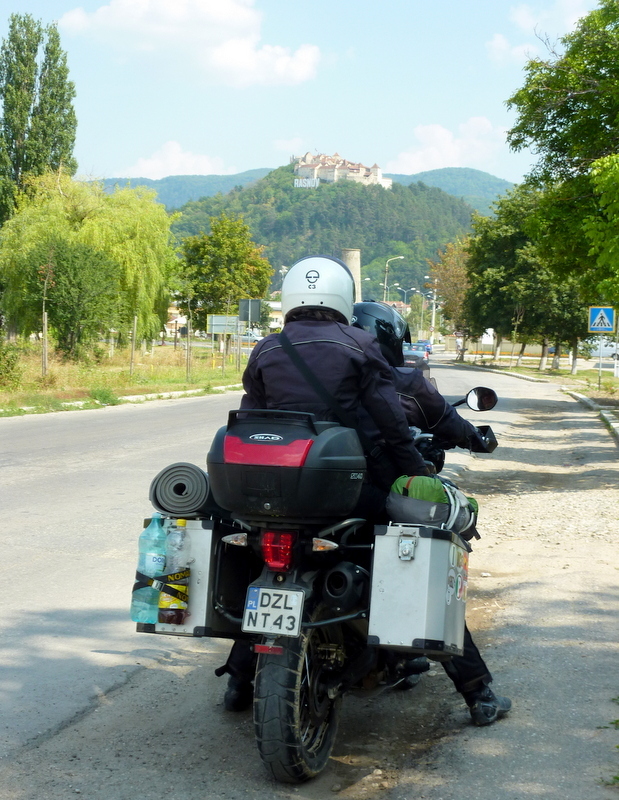 From there we waved bye-bye to our GS800 friends who had to go back to Poland and continued on towards Transylvania and Dracula town. On the way we passed by this beautiful St. George Orthodox Church in the town of Nehoi, but I really haven’t been able to Google much more on this impressive architecture. 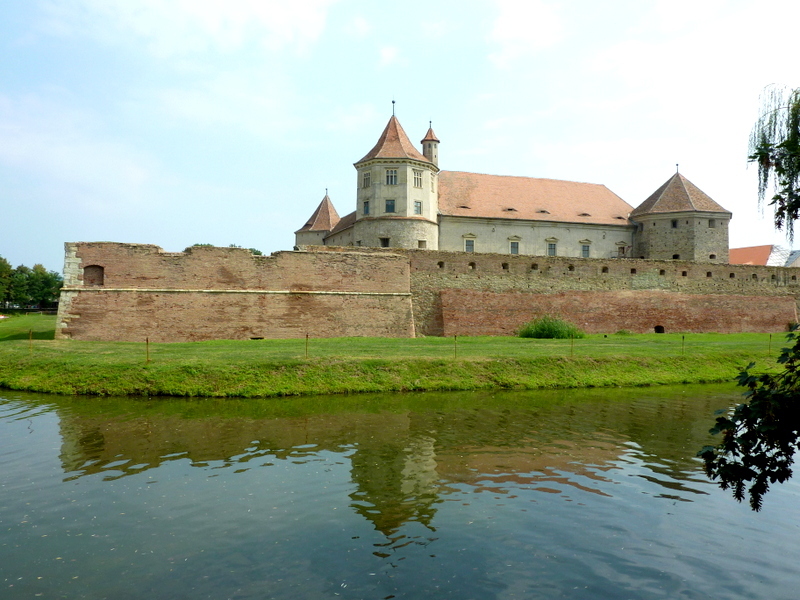 We also saw the Fagaras Fortress built in the 14th century. 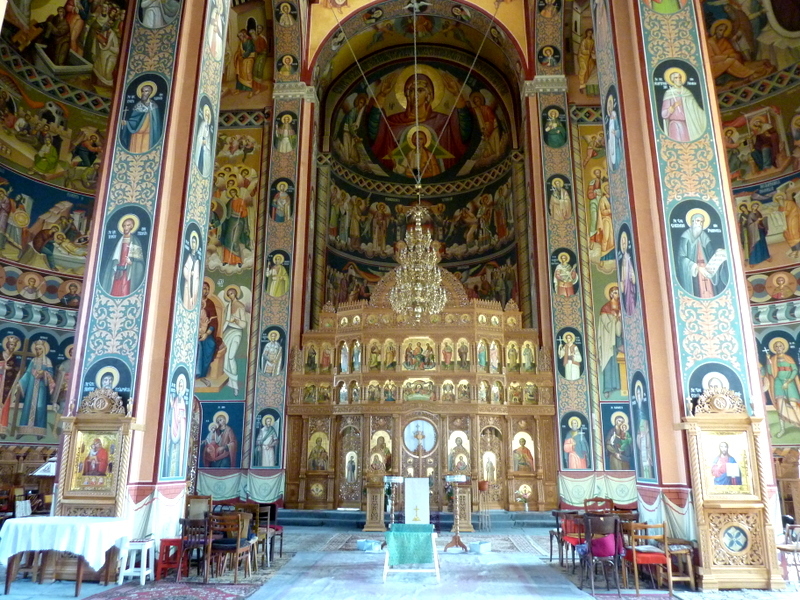 Romania is known for having thousands of monasteries. You can’t travel too far without seeing a road sign pointing you to one and occasionally we took the bait. The one we saw was quite simple, yet the road to get there was anything but. I don’t have any photos of it myself, but one of many road signs to a monastery or a scenic point on a map led us to burying the Triumph in a mud hole and that was after I had left my Transalp way back. That’s because the road went from asphalt, to dirt, to mud, to just an unpassable trail in a forest. Nowhere is this marked on a map, or the GPS, or even on the road sign leading you towards the scenic point. It just goes from asphalt to no-way and it’s up to you to decide if you wanna deal with it. We did up to a point, but neither of us felt like ditching our bikes in mud so we turned back. 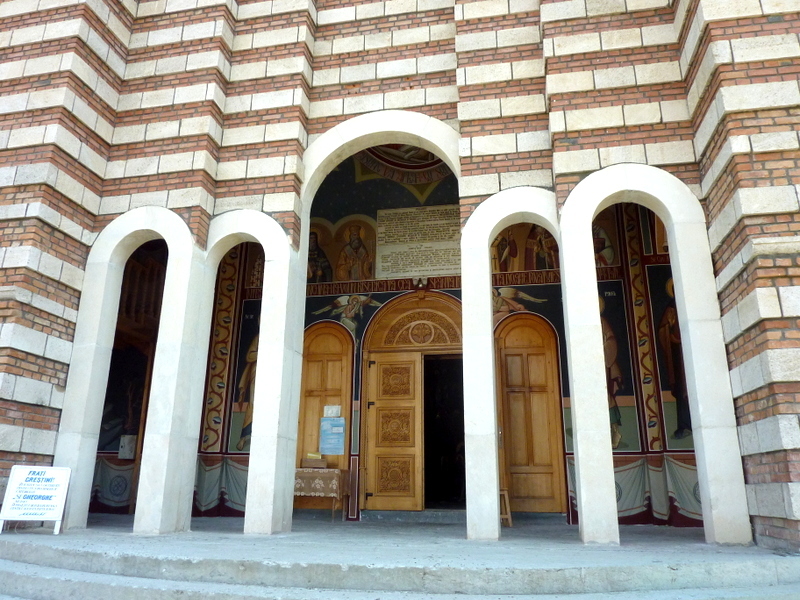 Here’s the monastery we managed to see. 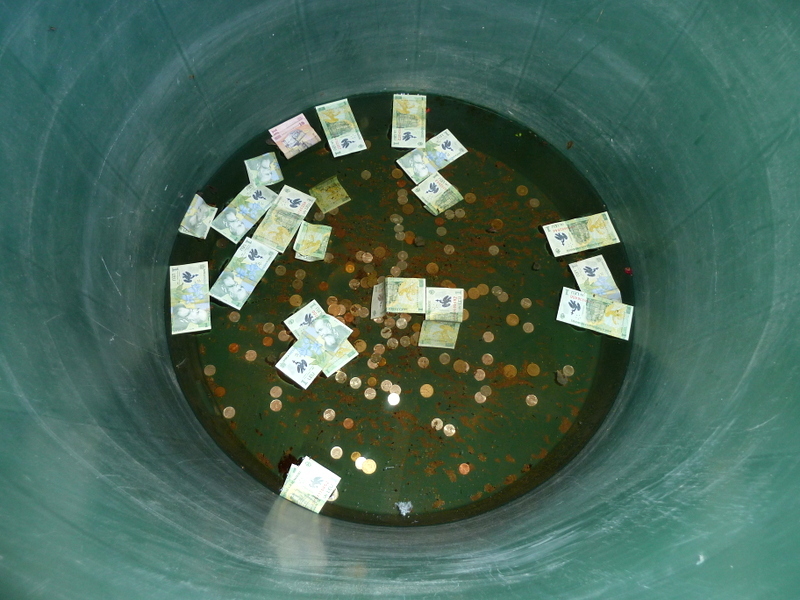 A cool fact here is that there’s “paper money” in the wishing well. That’s cause Romanian bills aren’t paper at all but a certain plasticky material that actually feels pretty good in hand. So the money naturally floats. 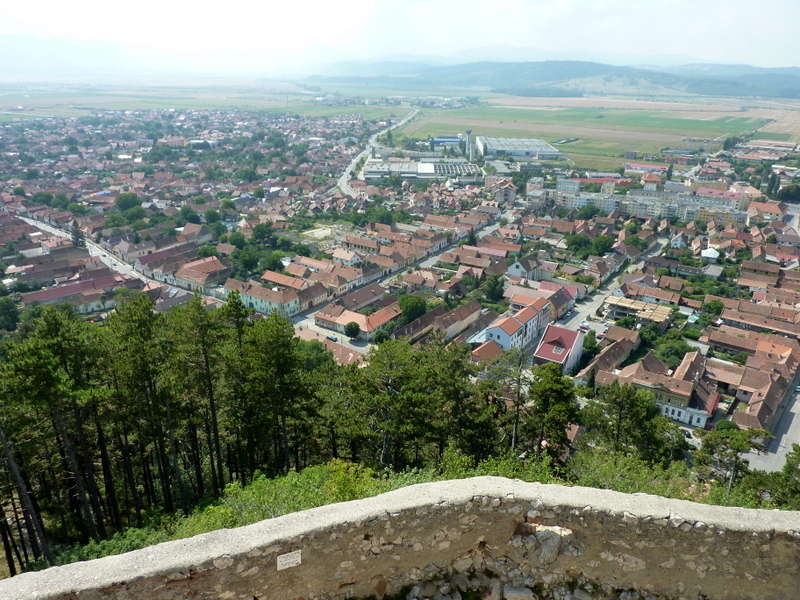 We rode on to the town of Rasnov where from really really far away we saw a beautiful Rasnov Citadel overlooking the town from a hillside. And that’s where we made our mistake. 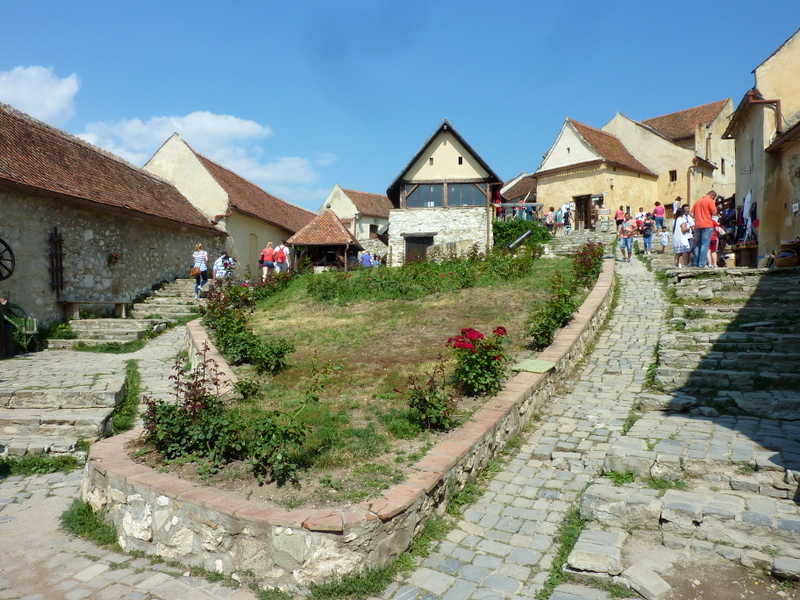 We knew that we were traveling towards Dracula’s Castle that day, we knew it was nearby, and when we saw the Rasnov Citadel, it only made sense that this was it. Dracula’s Castle. Boom. We parked and locked our gear, bought tickets, toured the castle, and wondered why there was no Dracula mentioned anywhere at all. Well… that’s cause it wasn’t Dracula’s Castle! 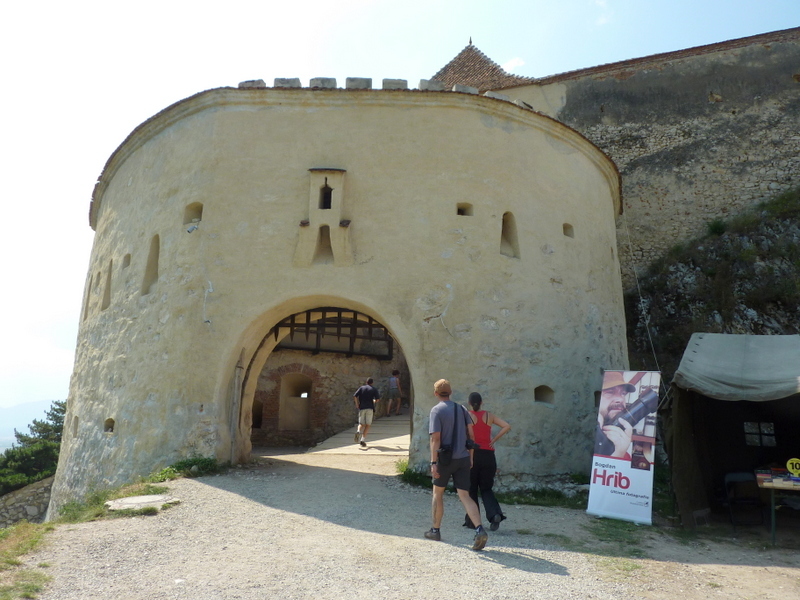 What we were touring was the Rasnov Citadel, a fortification built sometime in the 1200’s meant to shelter the villagers from a raid or an invasion. 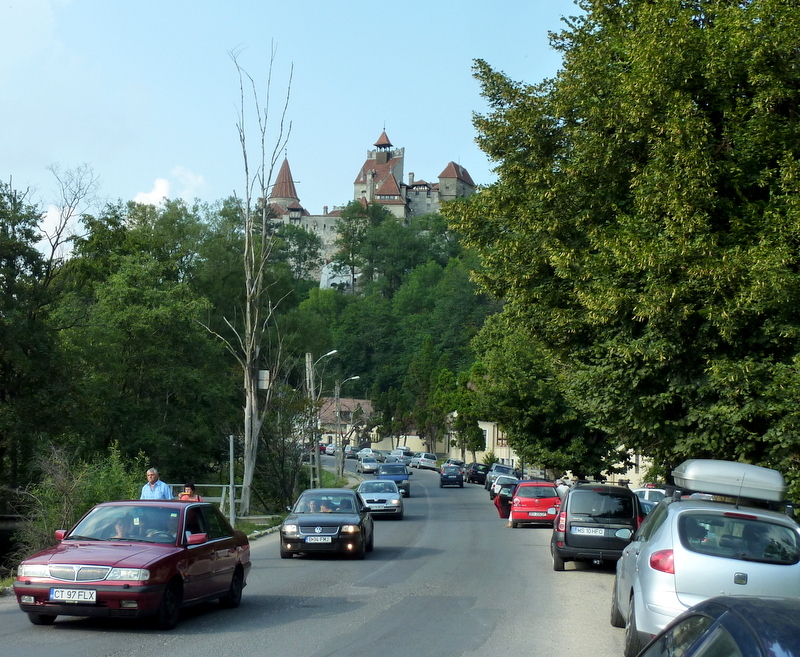 Dracula’s Castle, also known as the Bran Castle, was in small town called Bran only 12kms (7.5miles) away which we drove through later but dismissed as we wanted to find a place to set up camp for the night. Dracula FAIL! 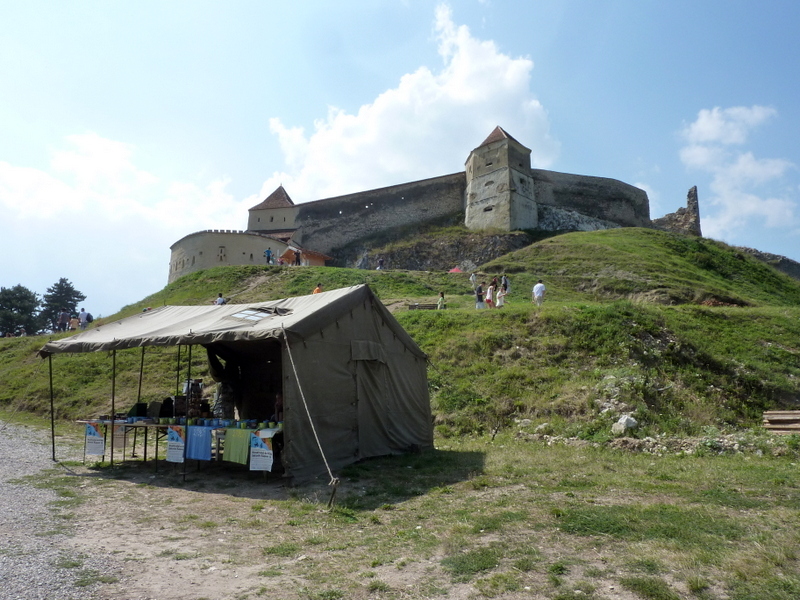 Ohh yeah, and here’s Dracula’s Castle, we did ride by it after all. Maybe next time Count Dracula. 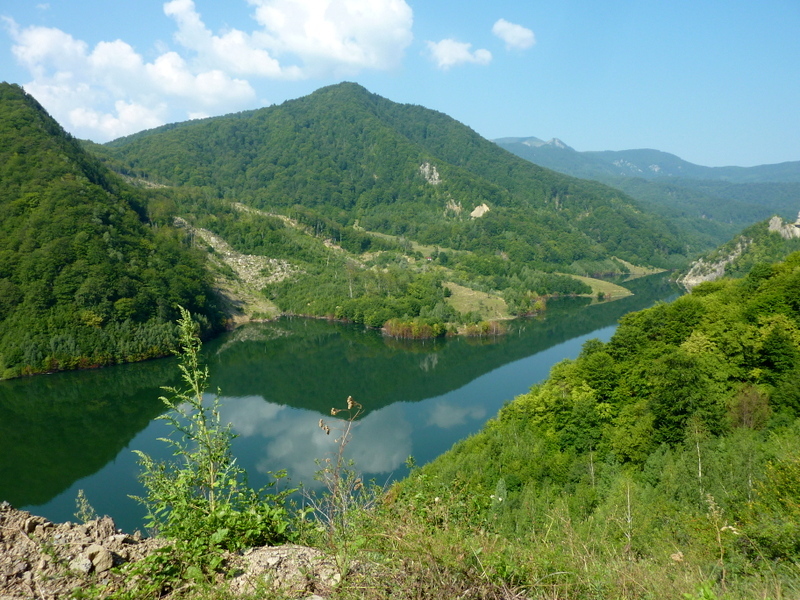 That night we set up camp near a river and a beautiful lake, sat next to a bonfire, drank red Romanian wine, and joked how we had missed Dracula earlier that day. Awesome!